UPDATE 10/6/15 – Why won’t CPS let Rainn Peterson’s mom see her? On Tuesday, Brandi Peterson came forward and stated that CPS won’t let her see her daughter that was found sleeping in tall grass after missing for over 48 hours. Brandi has stated that the FBI came to her and said her daughter was alive and had been found and was taken to the hospital, but as of Tuesday, she has not been allowed to go see her at the hospital and that currently she is under CPS custody. 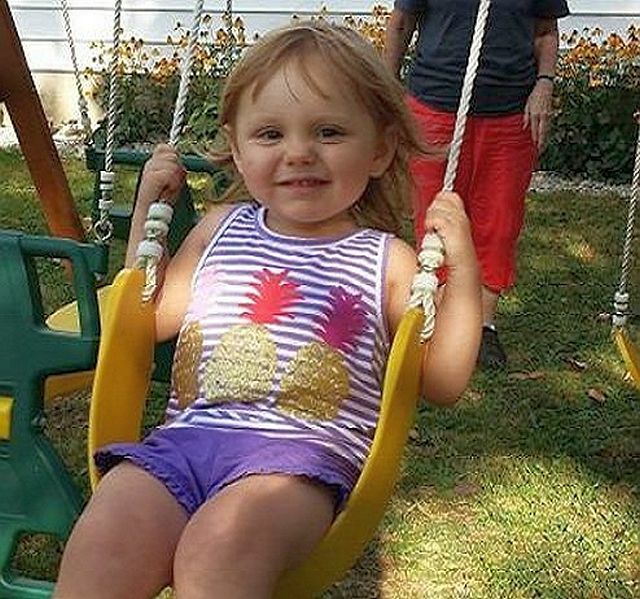 Brandi explained To WKYC that Rainn disappeared from her grandparent’s house and not from her custody, that she volunteered to take a polygraph test, and has cooperated 100 percent, but for reasons she does not understand she is not allowed to see her daughter. She also is seemingly dumbfounded that social media was blaming her for the disappearance of her child, including her own family. Also, Brandi’s other two boys are at her grandparents house as their father has ordered them to stay there. Brandi stated that she was granted full custody of her children a couple of months ago in court. CPS had come to their home to make sure the living environment was good and there were no hazards. They told her they would send papers in the mail to have her childen brought to live with her. 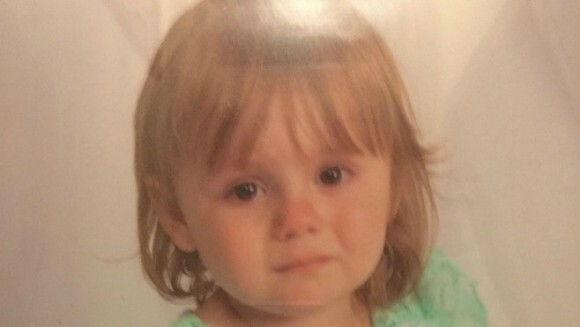 It is unclear by her statement to WKYC if the children were living with her before Rainn went missing or were just about to begin living with her before Rainn went missing. It is unknown if Rainn was living with her grandparents full time either. Although I understand Brandi’s urgency to have her child back, anytime social services or police or any official that is concerned about the welfare of a child is brought into the family to check on circumstances, you have to take a hard look at yourself and question if you are the reason they are there in the first place, something I have rarely seen done by the accused. The missing piece is, were the children living at the grandparents home and had yet been transferred to her custody, or had she decided that her grandparents were the best babysitters for her children. If it was the later, then CPS would be questioning why she chose them as caretakers, and check to see if that choice was sound, which would put Brandi’s decision making into question. If CPS were the one’s that chose Brandi’s grandparents as caretakers, then they are the ones that should be questioning themselves. On another network, Fox News reported that Brandi told them that she was allowed short supervised visits with her daughter. It is unknown if this came about after her interview with WKYC or not. It was also reported that Rainn had an infection. 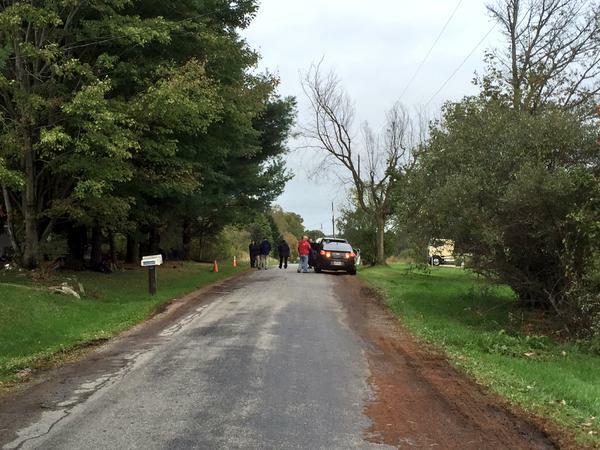 UPDATE: Police told21 News Reporter Janet Rogers that Rainn has been found in field after 6:30 p.m Sunday on Peck Leach Road about 1/2 mile from the home she was last seen at. .
Police said she was cold and taken to the hospital but seemed fine. Rainn Peterson was last seen at her home on Route 45 in N. Bloomfield at her grandparents house, where she was staying while her mom Brandii Peterson was out with a friend. Her grandparents called authorities when they couldn’t locate her by 7:30 p.m. Friday evening. Rainn’s siblings state she went upstairs and that is the last time they saw her. Investigators have determined that Rainn Peterson walked out of a garage door of the house that was popped open, but are not sure how she did so. Dog have been tracking and they picked up the child’s scent in the woods abut 200 yards north of the home. The police have focused their search to that area, while still others are in helicopters and horses. That evening night vision was used to search for her by air but she was not found. Volunteers were not allowed to search in the beginning because the police were afraid they would disturb tracks or evidence, but as of Sunday they have been allowed to look. Rainn was wearing a purpose long-sleeve shirt, gray pants and multi-colored pink and lime green shoes.